COLOGNE, Germany — A NATO-wide plan to increase defense spending is fueling a new kerfuffle in Europe’s economic powerhouse of Germany, where parties are still trying to craft a new government following last fall’s election. After talks failed in November with the smaller Free Democratic Party and the Green Party, Angela Merkel’s Christian Democratic Union now plans to negotiate with the Social Democratic Party, the country’s second-strongest force and current coalition partner, about continuing the existing pact. But both parties have grown apart over how much money NATO member Germany should spend on defense. 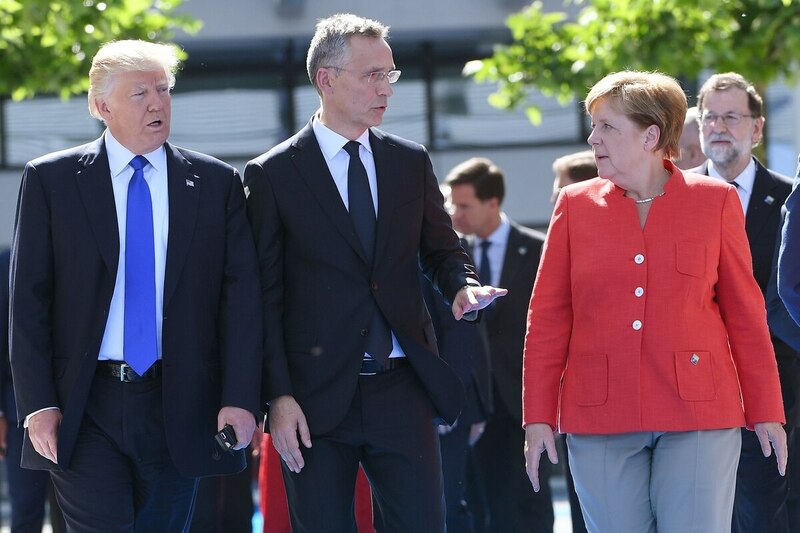 The issue continues to rile U.S. President Donald Trump, who believes European countries, and Germany specifically, are not spending enough on their security, instead relying too heavily on Washington’s promise for help in a war. Over the weekend, local media here reported that the CDU’s Bavarian offspring, the CSU, plans to approve an internal position paper for the upcoming coalition talks this week that explicitly couples Berlin’s defense spending with the NATO target of 2 percent of GDP per year by 2024. In Germany’s case, the increase would mean going from roughly €37 billion today to about €72 billion. While the SPD agrees in principle that the armed forces must be sufficiently funded and modernized, its leaders have rejected the 2 percent target as unrealistic. Hans-Peter Bartels, member of the SPD and the Bundestag’s commissioner for the armed forces, argued in an interview with the Schwaebische Zeitung that 1.5 percent of GDP would suffice, up from 1.2 percent, in part because the Bundeswehr couldn’t absorb a quicker budget increase anyway. Exactly how tightly the SPD will hold to its position in the upcoming coalition talks is the issue to watch, said Christian Moelling of the Berlin-based German Council on Foreign Relations. Having campaigned on an anti-Trump sentiment of Washington purportedly dictating Germany’s military expenditures puts the SPD in a difficult spot, he said. Henning Otte, the CDU/CSU defense policy lead in the Bundestag, said in a statement to Defense News that his party views the goal of increasing defense spending to 2 percent of GDP by 2024 as an expression of “reliability” within NATO. Sebastian Sprenger is associate editor for Europe at Defense News, reporting on the state of the defense market in the region, and on U.S.-Europe cooperation and multi-national investments in defense and global security. Previously he served as managing editor for Defense News. He is based in Cologne, Germany.